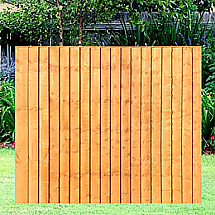 A high-quality well-built traditional 6ft x 4ft Featheredge Fence Panel dip-treated. Fence Rite, based in Cradley Heath, West Midlands, stock the 6ft x 4ft featheredge fence panel. 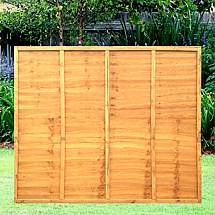 This panel is one part of our high quality, long lasting featheredge fencing range, with many other fence panel sizes available. 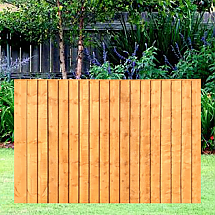 This type of fence panel offers great privacy in your garden giving you the opportunity to create an outdoor space of your personal choice. 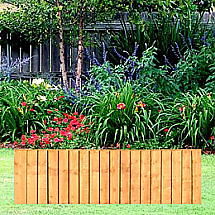 This traditional wood fencing is dip treated to elongate the fence panels life span, with that in mind these panels are ideal for replacing old broken fencing or even for a complete garden re-design. 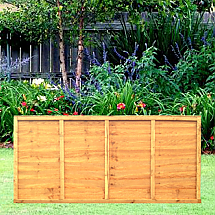 Our 6ft x 4ft featheredge fence panels can be delivered for a small delivery charge.